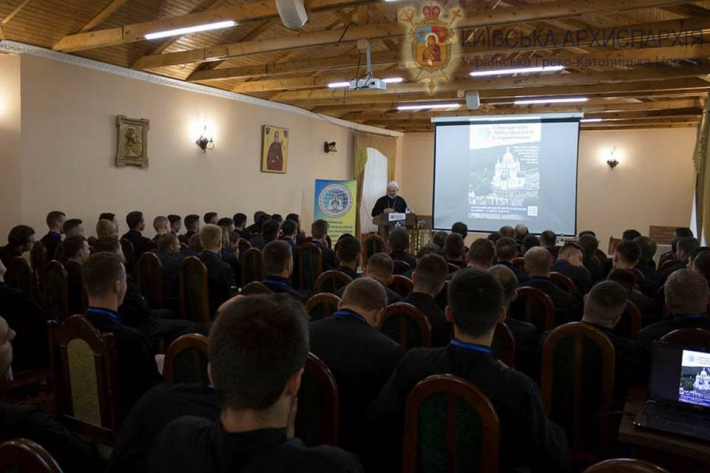 On 26 of June 2018 in Zarvanytsia VIII PMD Practical special training on ministering, with a target audience of seminarians at their last year of studying. There are as many as 90 seminarians form all Seminaries of UGCC participating in. Day 1 was dedicated to the activity of pastoral Migration Office, described by its head bishop Josyf Milyan together with outlining the main needs of Kyiv archeparchy. He mentioned that PMD cares for 44 countries worldwide where UGCC hierarchal structures are not presented. “More than 20 countries we have embraced with our care, and ministering is performed there now and again. In other regions we constantly monitor the situation, trying to develop ministering. The point is not the European countries. We have two parishes in UAE (Abu-Dhabi and Dubai). We’ve got invitations from Shanghai and Japan. Bishop mentioned that PMD is in close collaboration with Ministry for Foreign Affairs, particularly with the department which is in charge of Ukrainians abroad. 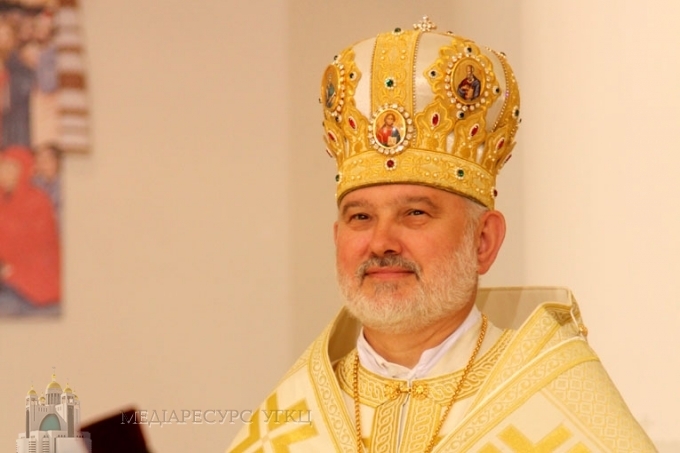 He pointed out that while paying pastoral visits to different countries he inevitably meets local hierarchs of Roman Catholic Church, ambassadors and representatives from Ukrainian social organizations. Head of PMD says that a significant attention is paid to spiritual growth of faithful of UGCC abroad. In UGCC Strategy Development – 2020 is said that Church will be caring for its faithful whenever they are based and no matter how many of them are. And we are trying to do this”. “If life brought you to the point of serving somewhere in Portugal, Spain, Greece, Cyprus or South Africa or Baltic countries, I can say that we need a lot of priests, who our people abroad are waiting for. Spiritual people who will dedicate themselves to God, Church and compatriots”, bishop addressed to seminarians. Bishop Josyf also said how important it is to develop ministering among students who arrive from abroad and stay here. “We have just over 130 priests and around 90 parishes, we are building 33 churches. In Patriarchal Cathedral in Kyiv for a Sunday Liturgy as many as 1000 people can come. This year already we are ready to accept 10 priests. But they have to be enthusiasts, ready to celebrate Divine Liturgy daily”, bishop Josyf said.